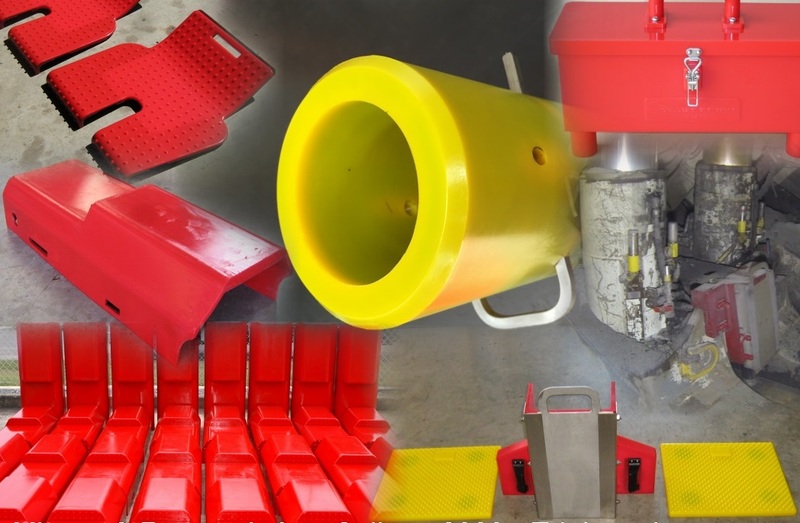 Elastomers Queensland are able to provide 90a Red FRAS ( Fire Resistant Antistatic Additive ) Polyurethane products Stringently tested to MDG3608, section 3.3 Minor Conveyor Accessories as approved by NSW Government Mine Safety Technology Centre for use on Pulley Lagging, Scraper Blades, Plough and Skirt Rubbers etc. This additive has been formulated to produce Polyurethanes which will self-extinguish combined with reduced Electrical Resistivity. 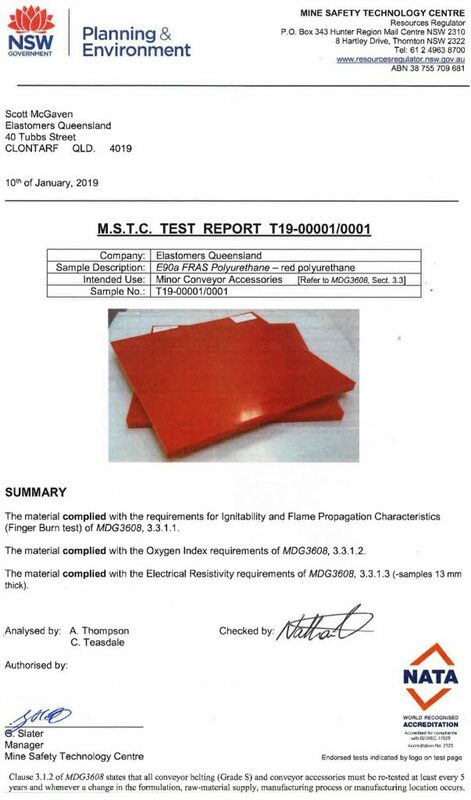 Testing conducted by NSW Government Mine Safety Technology Centre include Ignition & Flame Propagation Characteristics, Electrical Resistivity & Oxygen Index. Copyright © 2018 Elastomers Queensland-Leaders in cast Polyurethanes. All Rights Reserved.